Coldest Air of the Season Tonight…and it is SNOWING pretty much everywhere in the region this morning! Good Sunday morning. The main news to share for this holiday, Sunday is that the winds are howling and it is snowing. However, I have to report that Saturday was one crazy day in the region. Hence the title of this post. 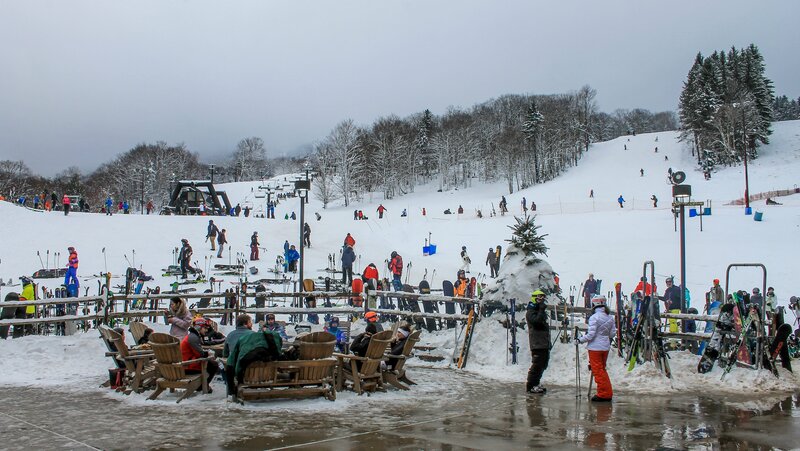 Snowshoe Mountain had a power outage on Saturday across the entire mountain (these things will happen even though rarely) and that power outage caused everything to come to a stop – including all of their lifts. The awesome thing about Snowshoe is that they have all of their lifts able to operate on auxiliary, generator power. Though slower, they were able to get everyone off. That power outage lasted about an hour and a half. East Ridge is closing for the remainder of the evening due to a technical issue on Chair 5. We apologize for the inconvenience and hope to have it fixed by tomorrow. Stay warm and drive safe! Yesterday, Saturday, January 19, shortly before 4 pm an issue was identified on the Acorn lift. Our lift mechanics were called in and were able to diagnose the issue as a failed electric motor. The motor was promptly shipped off-site for immediate repairs and we are standing by for the final timeline. We sincerely apologize for any inconvenience to our skiers and riders for this unforeseen circumstance and we thank you for your patience. We will keep everyone informed as we receive information. With the Acorn Lift down, they will operate with 15 trails for a full day of fun ahead on Sunday. …and Timberline Resort also had lift issues. Unfortunately, Timberline Resort, which needed a great weekend this weekend…also had a lift part go awry and they will now only operate today with two slopes open. That will (also unfortunately) escalate the negative commentaries surrounding ‘all things Timberline’ right now. I have already received some private messages and emails pertaining to some scrambling that was happening on Saturday in Davis, WV, but it serves no purpose to pile on this morning. Suffice to say that Saturday was a crazy day. Skier visits were way up most everywhere on Saturday, which is great news. A few resorts had to have set some MLK Saturday records and today should be another great one. A great busy day at Canaan Valley Resort. Nice photo sent in by Justin McCue! Click to Enlarge. High winds, 25-35 mph and sometimes gusting over 50mph, are dominating the weather-talk this morning – even though we are also seeing some light snow. Those high winds are ushering in the coldest air of the season to date as we will see single digit low temps at a lot of our mountaintops tonight. We could also see around-the-clock snowmaking opportunities for those ski area that need it or want to do it to open more terrain. These high winds and dropping temps have me dressing in layers and drinking coffee and I’m not even outside on the slopes! Be sure to bundle up, as the temperature will be dropping steadily today and could be in the single digits even by mid-afternoon. High winds could affect lift operations at times. Please remember to always ski or ride within your ability and pay close attention to all trail signage. I should tell you guys that a couple of ski areas are reporting as much as 2″ of snow and while that may be accurate…you will be hard pressed to find 2″ of snow on the ground. Most CoCoRas reporters and our independent reporters are calling it a Trace to 1″…windblown. The heaviest snowfall we are seeing right now is at Wisp Resort in Maryland and Snowshoe Mountain in WV, with a close second happening at Wolf Ridge Resort as of 9:30am. 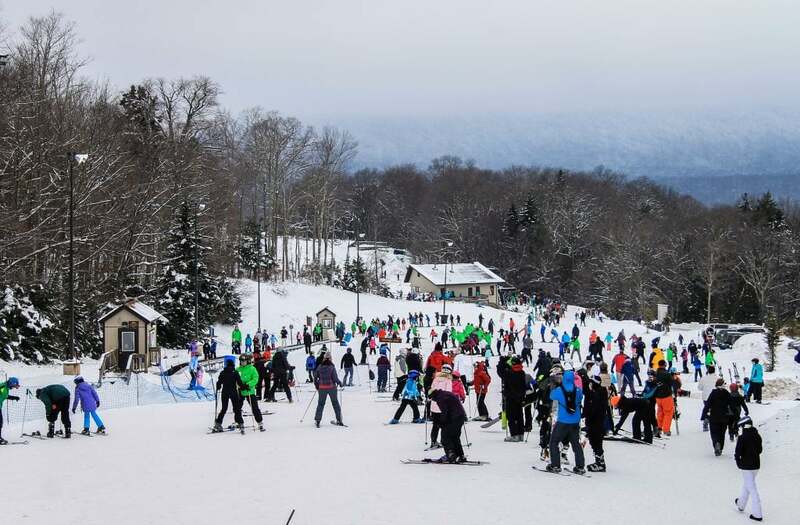 As a sidebar, that 1.5″ of snow at Canaan Valley and Timberline makes it a run of TWELVE STRAIGHT DAY with measureable snowfall. It has been a snowy January so far in West Virginia. Canaan Valley has 30KM of trails and our golf course area open for cross-country skiing. As I took a tour around the area via the webcams…I saw snow falling pretty much everywhere…even at Sapphire Valley. Very unusual for Snowshoe to have only seen a TRACE overnight when all the others around them received snowfall. However, it IS snowing there this morning as well. 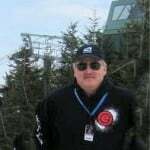 Really nice article sent in by Ski Patroller, Bill Nabers of Bryce Resort. Thanks Bill. Great post by David McCue who played at Wintergreen Resort Friday.